This is the perfect oven mitt for bear lovers. 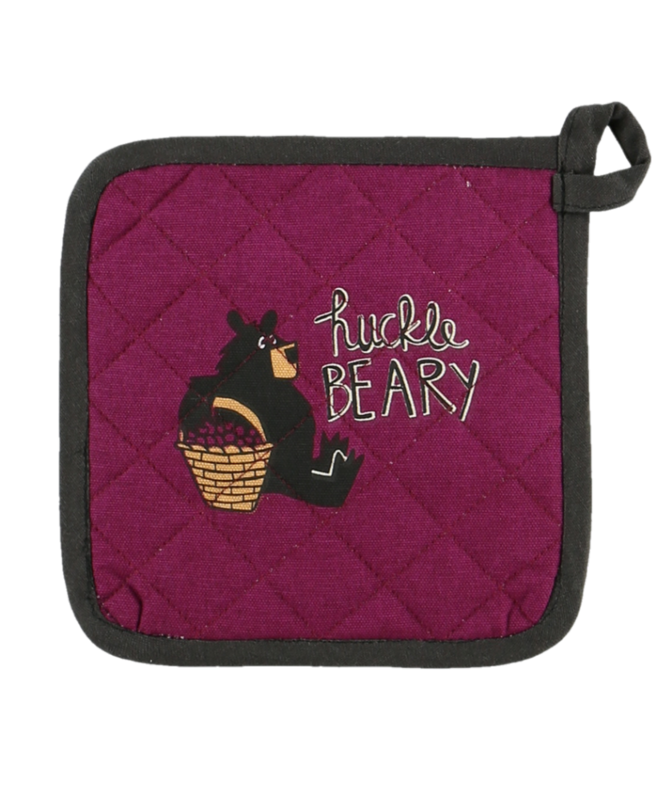 One side of the oven mitt is burgundy with a black bear holding a basket of huckleberries. 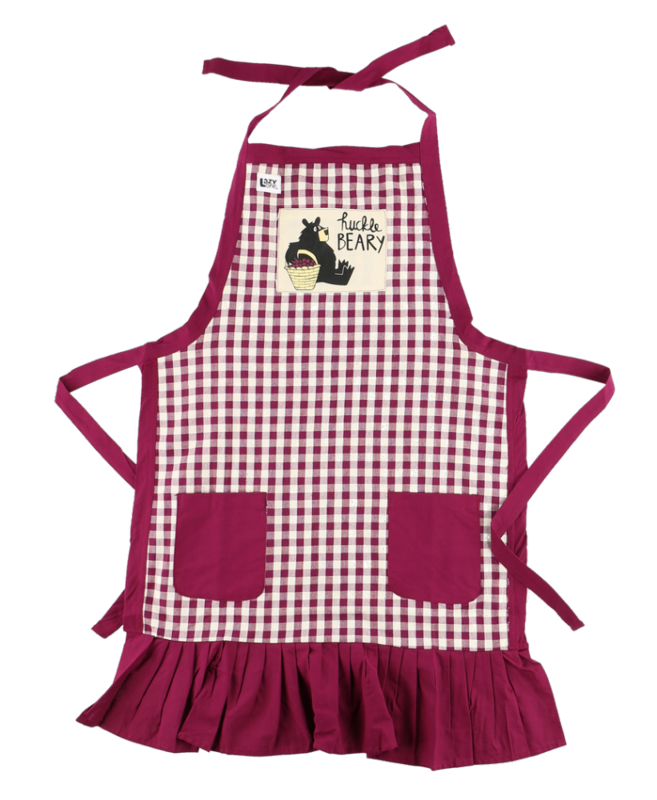 The other side of the oven mitt is cream with a bear design.